Amakhosi fielded a defensive team on Saturday night and suffered the consequences as Matsatsantsa ran out 3-2 winners on aggregate. 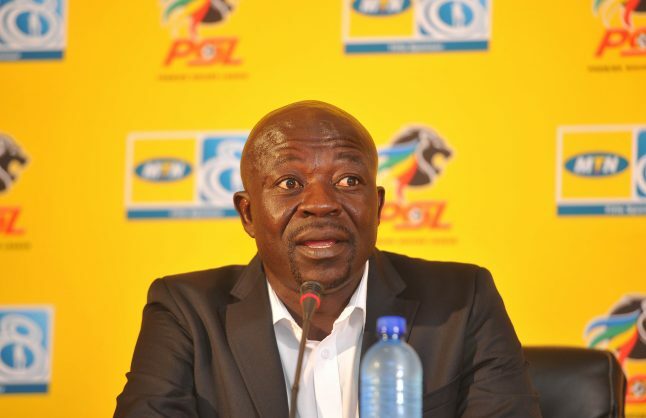 SuperSport United coach Kaitano Tembo has admitted that Kaizer Chiefs’ formation worked in their favour in their MTN8 semifinal second leg, which they won 1-0 at the FNB Stadium to advance to the final. “We wanted to be a little more patient, especially in the first half, and they did the same. It was important to drag it out at 0-0 and as it went on we could see they were beginning to panic. When we scored they pushed more players up and we wanted to catch them on the counter but we were not clinical enough. We had a good game plan and the players executed it well. We have a never- say-die attitude,” said Tembo. Tembo said they had expected Chiefs to attack from the outset but when he saw their starting team he felt they wanted to protect their two away goals advantage and manage the game. “I thought they would come at us, but maybe their aim was to protect their advantage. We became more adventurous in the second half because we had nothing to lose,” he said. Bradley Grobler scored the goal that sent Matsatsantsa into the final and Tembo sang his praises. “Bradley is a typical No 9 and we missed him in terms of our attacking structure. He can hold the ball up well and get others to join in attack and he is a great finisher.